Perched on a hill, just outside the main town, the Fairmont St.Andrews hotel looks smaller than you would imagine from the outside. However, when you enter into the lobby, you'll discover it is just as large as its famous American counterparts in the Fairmont chain. The design of the hotel echoes the US trend for wide open spaces. Corridors are wide, and the downstairs atrium is a perfect conference facility. It is luxurious like its Fairmont name commands; but also has enough touches of Scottish homeliness to make it suitably located in the small community of St.Andrews. The largest selling point of this hotel is that it is dog-friendly, and even has a gentle resident Labrador called Smudge who greets guests as they arrive. Canine residents staying on their Pet Perks Package are treated just as importantly as their human owners; making it a great place to share a break with your animal babies. 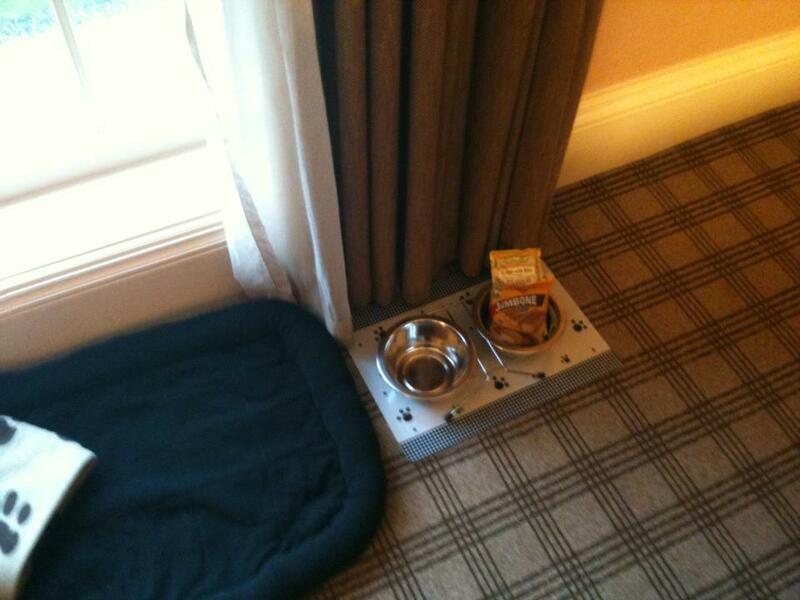 Dogs get a bed and blanket next to their owners; plus food bowls and edible treats. The rooms are spacious, luxurious and comfortable; and the Deluxe Sea View rooms provide amazing views of the coastline. The bathrooms also have a huge bath and walk-in shower perfect for pampering stays. It is surprising however, that such a large hotel with so many excellent facilities does not offer free WiFi access. WiFi is available; but it is rather expensive at £6 per hour or £18 for 24 hours. Several areas of the hotel don't have mobile phone or mobile internet reception, so the need for complimentary internet access is particularly relevant in this hotel. Hopefully, it will be made available soon. The spa in the hotel is truly a relaxing haven. Even the smallest of touches are thought about; one of these being that you are given a bottle of water in your locker when you enter. After changing into a dressing gown and slippers, you then take a seat or have a refreshment in the relaxation room prior to being called for your treatment. We tried the Scottish Tranquil Journey Treatment, and it is more than worth the £145 that the hotel charges. During this 90-minute treatment you get a bit of everything- foot polish, followed by a full-body scrub and a full-body clay mask. 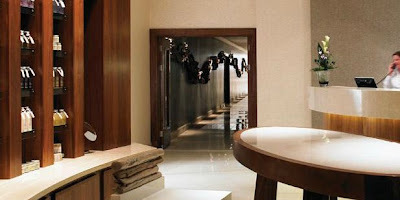 As the mask sets you are encased in warm blankets whilst receiving a facial treatment. You are then asked to take a shower in the treatment room before getting into the second heated treatment bed for a full-body massage tailored to your specific stress areas. It is a wonderfully relaxing way to spend an afternoon, and will leave you smelling of a Terry's Chocolate Orange due to the luscious Kerstin products used. Breakfasts included in packages are of the buffet variety, and the food is of an excellent quality and variety. If, however, you have a pet with you, you may prefer to eat breakfast in your room. Whilst the rest of the room service menu is very reasonably priced, an in-room breakfast is a bit on the steep side with a standard cooked breakfast for two with coffee, juice and toast costing a whopping £40. The hotel's staff are excellent, and cannot be faulted. They are there to make sure you have everything you need during your stay, and will go out of their way to do so. It's exactly the friendly Scottish service you would want and expect from a hotel of this high a standard. A Deluxe King Size Sea View room costs from £179 per night with a buffet breakfast. Special offers for multiple night stays are available throughout the year. For more information, visit Fairmont St.Andrews Reservations.